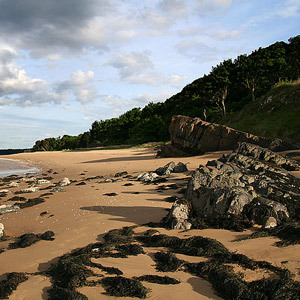 Travel to a stunning beach on Hopetoun Estate to experience William Shakespeare’s The Tempest in an ideal setting. We invite you to join us on a captivating journey through Edinburgh, through the Mediterranean, and through the imagination. "An enthralling, unforgettable experience, *****"
"Superbly realised […] Cannon-Brownlie’s production is an unforgettable piece of drama"
"One of the most stunning and impressive productions of Shakespeare that I have ever seen"
"Every aspect of this fluid, cohesive production fits together seamlessly"